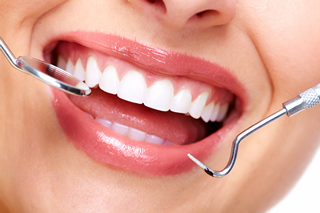 At the Nashville and Watertown dental offices of Dr. Terry Jackson, DDS, we pride ourselves in providing our patients with the finest quality care in dental health services such as full mouth restorations, orthodontics, extractions, dental implants, dentures and teeth whitening. Our passion is creating the smile you were meant to have– one that is attractive, confident, and beautiful. Our goal is to understand your individual needs and desires, and to customize your care accordingly. We strive to create long-lasting relationships that are mutually fulfilling. Please take the opportunity to explore our website. We want you to know what is going on with us and keep you updated with the latest and greatest in our practice. We care about you inside and outside of the office and are interested in hearing from you and conversing with you. Communication is key for any successful relationship. Your dentist is no different. When you come for a visit, you are not just a patient in our office, but a guest in our home.